Jiu-jitsu is not simply a sport. Rather, it is primarily a martial art that can change your life. 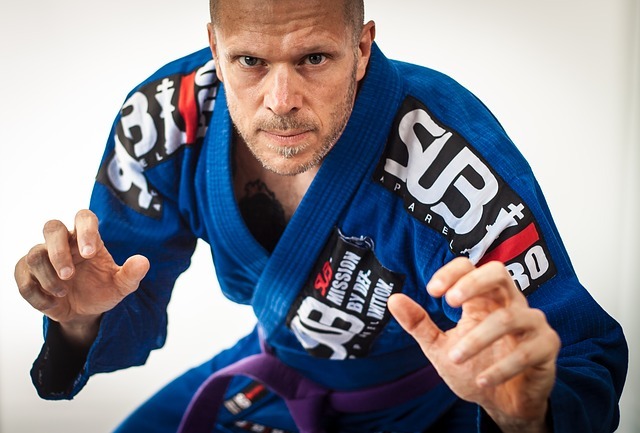 People discuss the jiu-jitsu lifestyle, and you might wonder what it means. Does it signify that you exercise throughout the day or surf then go to class? Jiu-jitsu advantages are so much more than you can imagine. Normally, it is the factors that you are unable to see which have the hugest effect on your way of life. Some talk of the strength they have acquired or how much fitter they are now. It is indisputable that jiu-jitsu is going to alter your body. You can see your body changing each day or week physically. These improvements in your general health are the outcome of training in jiu-jitsu at District Warrior. Every person connects exercise with appearance. Individuals desire to have a distinct look. It is not frequent that you hear people saying they are working out so as to reduce their cholesterol. Such people are the ones who visited the doctor and discovered their cholesterol is high and require to workout. Jiu-jitsu is the same. It is rare for students to come to District Warrior gym so as to improve their blood sugar. However, the experts at District Warrior always inform people that the most enjoyable part of the workout is the factors you are unable to see! Remember this when you find training frustrating for you. It does not matter the number of times you workout; your body is becoming healthier. Other than this, from jiu-jitsu, you learn how to utilize your body as a single unit. In our present society, where we spend most of the day driving, sitting or working at a computer, some weird and abnormal movement patterns develop inside our bodies. for you to see enhancements in strengths on the mats only; however, in the weight room, you can see the increase of numbers on your lifts. hard to complete. Now, however, you can shift your hips better. When mobility improves, you can remain on the mats training for a lengthy period. Mental improvements are also experienced when you engage in jiu-jitsu, apart from the physical improvements. Firstly, the procedure of gaining knowledge of a technique needs the same amount of mental and physical activity. So as to gain knowledge of technique, you need to practice it repeatedly. At District Warrior, you learn the technique in the same manner as you would when learning a topic for school and then find out how to implement it. The most difficult part is learning to apply the technique. When trying a new move in the course of live drilling or rolling, it may be hard to complete. So as to improve, you need to repeat the technique many times. After this, drill it more and try it once more for months or at times years, before you begin to catch individuals during rolling. Among the hidden advantages that jiu-jitsu presents is what the challenge of drilling, rolling and learning does for you. Walking into a District Warrior class after spending months gaining knowledge of technique, trying it and being crushed by each person does not make you feel well. What feels right is walking in the following day and attempting it again. The mental power to go on pushing even when you are not having your way will exhibit itself in other parts of your life other than the gym. In life or the gym, things do not always work out the way you want. Each person goes through stress but how we handle the stress is what is vital. Jiu-jitsu relieves stress. After a stressing day at school or work, you can visit District Warrior, and all the stress evaporates! Jiu-jitsu needs focus, and you should not think of what a bad day you had when someone is attempting to choke or arm-bar you! You might overlook a significant detail if you do not concentrate as your instructor at District Warrior is showing you a technique. That important detail may present the difference between you having your guard passed or completing the move. When your instructor is showing you the technique, if you do not concentrate, you could miss a critical detail. That important detail might determine whether you complete the move or have your guard passed. Another advantage of this training is that you can release your anger. During drilling and rolling at District Warrior, you can take the accumulated anger and frustration and let it out, while on the mat. Roll hard and release it. After a great session of rolling or drilling, you shall feel better. Use District Warrior as an outlet! At District Warrior gym, we have all kinds of individuals; lawyers, doctors, law enforcement, students, women, and businessmen, among others. Each day, people visit this gym for one reason; to improve at jiu-jitsu. These same individuals visit this gym to enhance their learning ability, health and manage their stress levels. They might not physically note the benefits of this great sport, but the truth is that they are happening! The lifestyle of Jiu-jitsu is all about what one cannot see. It involves implementing the lessons that you have learned†on the mat to your day-to-day life.